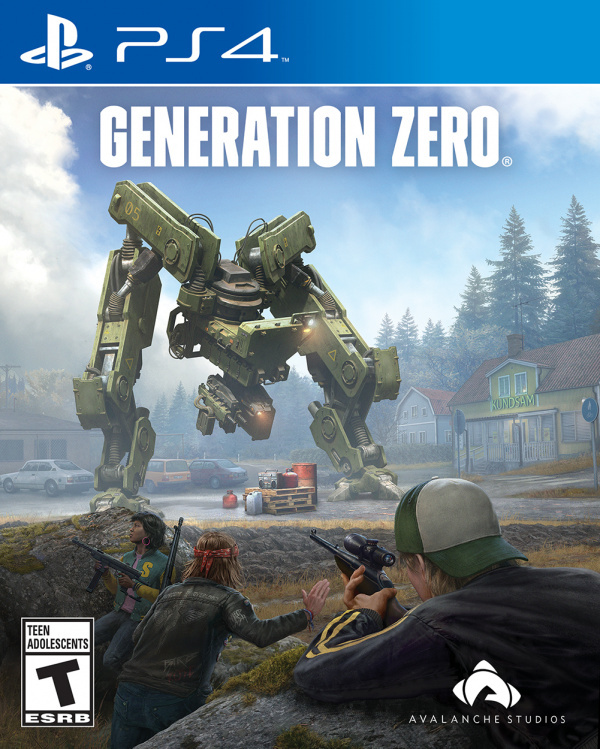 Despite flying under most people’s radars, Generation Zero is actually a fairly major fall from grace. 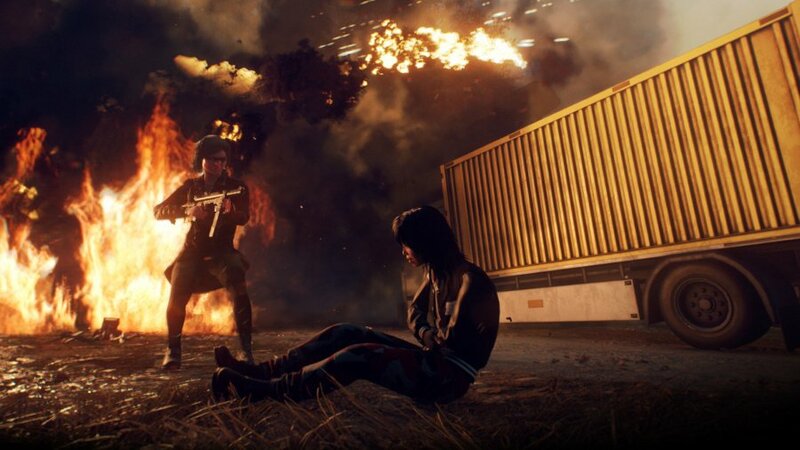 From developer Avalanche Studios, its latest open world foray is in stark contrast to the explosive, experimental, and action-packed nature of Just Cause 4's Solís. 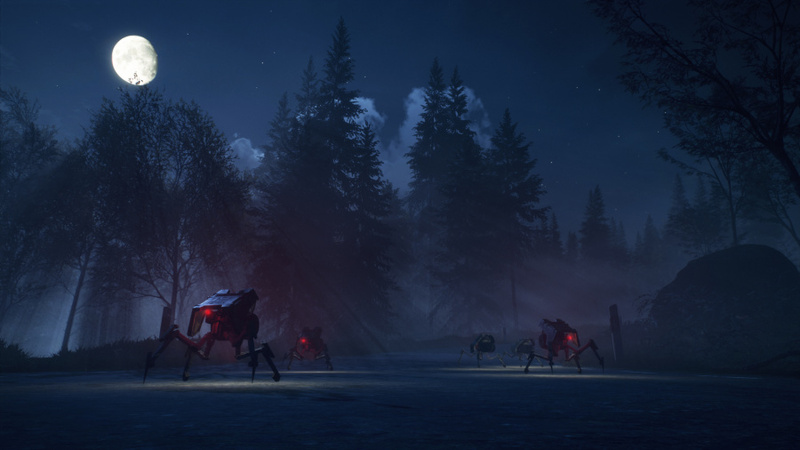 Instead, the studio’s take on a 1980s Sweden ravaged by an army of hostile machines is just as lifeless as those same automatons that roam its barren wasteland. It’s that backdrop, though, that sets up the biggest disillusion of all. 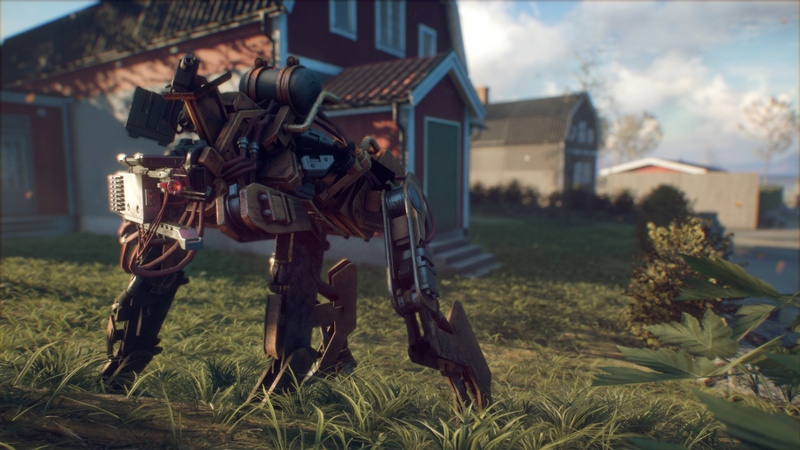 Indeed, a battalion of mechanical monsters have taken over Sweden following the fallout of an alternate take on World War 2, but after a scroll of text sets up your character’s position in the world, it’s up to you to work out the rest. There’s nothing wrong with that, it’s most certainly an intriguing premise, but the game constantly hints at unravelling some sort of mystery that never really pays off. Because of that, the narrative quickly becomes an afterthought as uninspired objectives have you looting locations, aimlessly searching for areas not marked on the map, and clearing zones of enemies. It’s all a bit mindless really; environmental storytelling is nowhere to be seen while collectibles make little effort to craft a world you would want to explore. It’s like the Stockholm-based team put all of its energy into constructing a fascinating backstory but forgot to include a path that it could make any headway down. If you were hoping to find some sort of depth in the title’s gameplay loop, further disappointment awaits. As a first-person shooter that barely scratches the realm of acceptability thanks to clunky gunplay, its open world environment only invites further damnation. Working your way from location to location, hoping you’re headed in the right direction, is tedious, while the robotic enemies you encounter along the way are just as braindead as their electrical innards would suggest. Maybe they’ll move to the side or run away on occasion as you spray them with bullets, but for the most part, simply unloading a magazine or two into them is enough to down even the most toughest of foes. It’s silly and senseless action that requires barely a thought for tactics or planning. You’ll earn XP for every kill you accrue, which funnels into the levelling up and skills systems where you’ll be able to equip perks to aid you in your travels. Split into four different branches, numerous upgrades offer a variety of enhancements that can increase the likes of your resistance to damage, aiming speed, hip shot accuracy, and weapon recoil. Elsewhere, you can spec into certain specialisations that create a sort of class for every player in co-operative play. Again, it’s all good on paper, but it also presents what is perhaps the game’s biggest roadblock. Levelling up occurs at a snail’s pace, to the point where you could be a decent couple of hours into the experience and have unlocked maybe three perks in total. When you take into account the fact that the skill tree stretches across a mammoth 48 perks, all of which have further ranks to advance through themselves, it’s going to feel like you’re not making any headway at all. Looting is what you’ll spend much of your downtime doing: scavenging for supplies, ammunition, and first aid kits. It all feeds into an inventory menu that can only be described as one of the clunkiest aspects of the entire experience. With limited space available, the task of managing items gets even tougher when they don’t reliably stack on top of each other, while seemingly useless pickups take up too much room. The most egregious annoyance of all though has to be the item shortcuts you can map to the d-pad. They will routinely disappear once you’ve taken advantage of them a handful of times, meaning you have to head back to the pause screen every single time you want to re-map them. It’s incredibly annoying and wastes time on something that should be as simple as a single button press. There’s nothing good to say about the open world itself either. Completely barren and uninteresting, quests will require you to cover vast stretches of land between towns and landmarks. There’s absolutely nothing worthy of note in-between them besides the rolling hills, green grass, and dilapidated trees that make up the countryside. It’s dire, giving you more of a chance to have a quick scroll through Twitter rather than an opportunity to soak up the atmosphere. To make matters worse, objectives rarely ever aid you in locating where you should be headed. There’s never any markers indicating the way forward until you actually encounter the correct location, meaning you could be wandering about aimlessly for a good chunk of time before you stumble onto the right place. 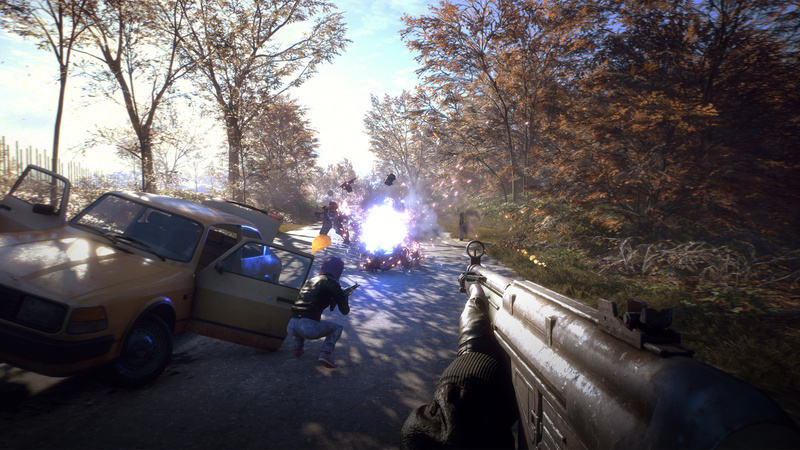 Up to three friends can join your game for some co-operative action, but their experience will suffer as a result. Other players have a knack of spawning on the other side of the map to you at a safe house, and the only way they can quickly reach your location is if you have a radio on hand that’ll teleport them over. If not, they’ll have to trek across land in order to reach you. It takes up far too much time, and if your friend was to encounter a particularly tough enemy on their own, they’d have to start the hike all over again. Better yet, those players that joined your match won’t have any of the progress they made transfer into their own games. Co-op only ever betters the host, an archaic notion in 2019. Rather bizarrely, the game can look quite striking at times. As the sun beats down on the open world’s meadows, colourful scenery comes to the forefront with some visually beautiful scenes that provide somewhat of a retreat from the dreary gameplay. In complete contrast however, the framerate plummets when something even potentially exciting happens. Combat can play out in single digits on the PS4 Pro, making motivation to progress an incredibly rare commodity. 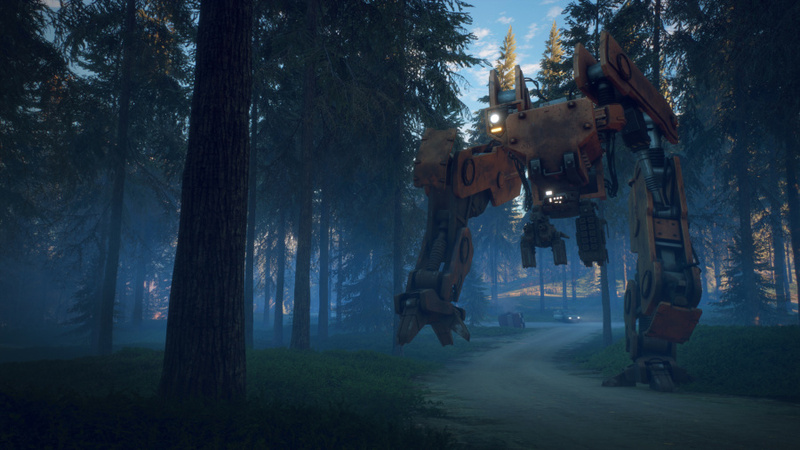 Even if you’re in love with its concept, Generation Zero is an experience you should avoid at all costs. Thanks to archaic co-operative design, an open world that feels sparse at even the best of times, and an inventory system that routinely works against you, disappointment takes centre stage here. You may catch one or two beautiful vistas along the way, but as the framerate drops into the single digits, you’ll wish you never bothered. After this and Left Alive I think we best leave giant mechs to Kojima yeh? Avalanche did not do well with Just Cause 4, and this apparently. I was pretty excited about Rage 2, but knowing they are working on it is worrisome. When's it getting PSVR support? Aaaahhh maaaaannnn. Sigh. It is such an awesome idea on paper. Really wish they would have given the love it deserved, it could have been a really cool game. Should call it Fallout 77. As soon as I read "explosive, experimental, and action-packed nature of Just Cause 4's Solís", i knew this review would be off. JC4 was one of the most boring and worst games of last year, both in performance and gameplay. This game is a better end product of what it is meant to be. Generation Zero's world is supposed to be empty and the reliance on markers for quests is just hand holding these days. Time to use your brain and look around. I've spent an hour searching for a certain clue to a mission but in the end I had walked past it 5 times because I had not read the previous clue correctly. I wasn't angry at the game for showing me where it was, I was slapping myself in the forehead. It's not meant to be a non stop action packed game, and because of this its sets the mood of being what its supposed to be: teenagers with little to no experience fighting robots. Yes the gunplay is clunky but IMO it adds to to realism as everyone can't be a Captain Price. You also have to get out of the run and gun mindset where every other game makes you invincible. I was getting killed easily and quickly until I started playing smart and sneaking around robot patrols, only taking them on once I had planned an attack with flares, explosives and guns. I do agree that the inventory system is clunkingly bad and needs fixing to make it more streamline, but other than that I'm enjoying the game immensely. I was a bit unsure for the first hour, but after finding clues and getting in the mood of being in a bleak and lifeless world, I really began to enjoy the game for what it is. Something different than all the other predictable shooters at the moment. Also when you jump into a 4 player co-op game it makes it more believable. 3/10 is a harsh score. I'd give it a 7/10 personally with room for improvement in certain areas. Plus its almost half the price of most new release games. @MattyHammo "Yes the gunplay is clunky but IMO it adds to to realism as everyone can't be a Captain Price." But given the right situation, the right story can't anybody be shaped into Solid Snake? Even rookies can fight like men of experience. @Danloaded There is absolutely no guarantee Kojima's game is going to be any good. None whatsoever! Just Cause 4 was a nice improvement over 3 and bombed, this game just looked horrible from the start. This game looks unrealistic. Everyone knows that Sweden would be neutral in any war. Ive only been playing this co-op with my mate and ive been the host everytime and all progress weve made in mine game has carried over to his game so not sure if the review was 100% accurate. @Gunners85 If you play the entire game in co-op with the same person 100% of the time, and never in singleplayer, progress does carry through. If you jump into a random co-op game here and there to get some help, you won't make any progress in the game you join. @LiamCroft I joined a random session the other night and after about 2 hours the host left and I got booted. When I reloaded my game all progress was kept. Not sure if this is supposed to happen or I just got lucky. Can't complain really. There definitely room for improvement in most aspects of the game, but I don't see it any worse than Anthems decaying game or Fallout 76's mess. @Dubya75 except Kojima and his team have never made a bad or mediocre game. @Dubya75 certainly better reviews than this game.